Archie Moore uses a wide variety of different media, depending on the subject of his works. With his carefully crafted paper sculptures, Moore communicates an experience for Aboriginal people of colonisation and the introduction and perpetuation of Christianity. 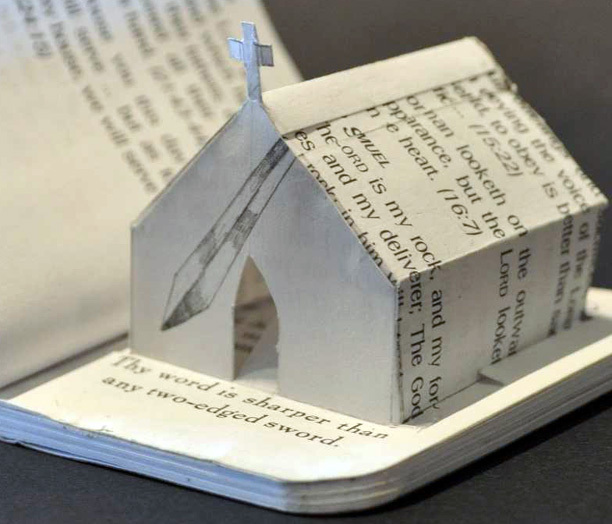 Moore comments on the interventions into peoples' lives by Church and State through a replica church emerging from an open bible (miniature version). 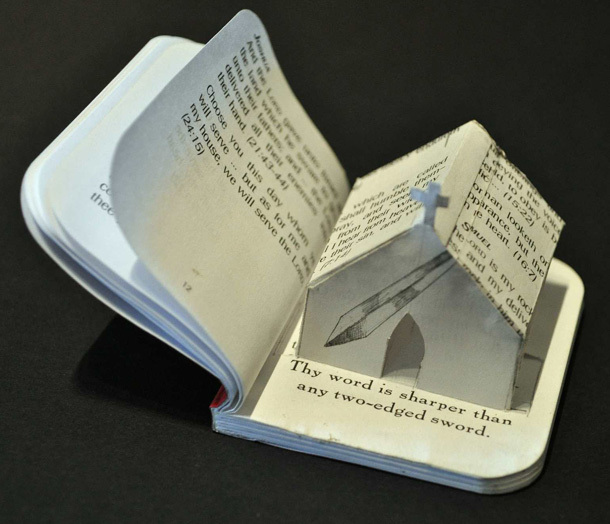 This is a variation on earlier works involving paper sculptures from bibles, usually opened to the book of Deuteronomy - a very imperialistic and bloody book. Judges of the 2010 Woollahra Small Sculpture Prize: John Kaldor AM (Principal of Kaldor Public Art Projects), Glenn Barkley (Curator at Museum of Contemporary Art, Sydney) and Monica McMahon (Curator at University of Western Sydney).